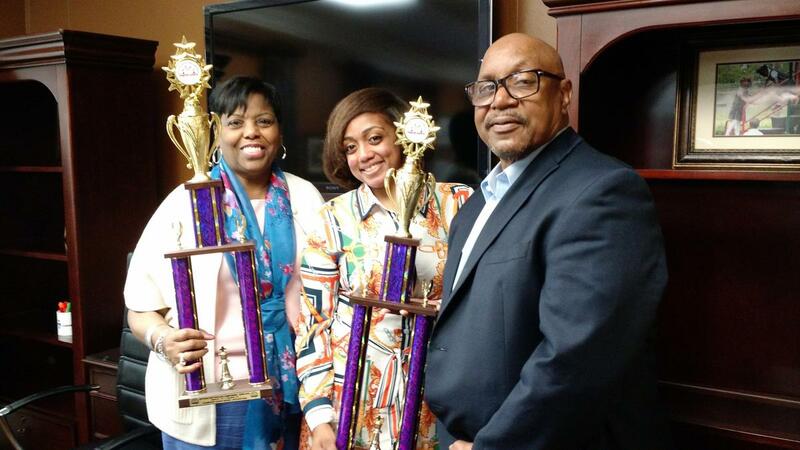 Dr. Margaret Stroud (left), Varnett's superintendent, and Ms. Jessika Hearne, Southeast campus director, display fifth-place trophies won by Southeast chess players March 8-10 at the Houston Mariott Westchase. In statewide competition, the elementary team members placed fifth out of 69 schools and the middle school members placed fifth out of 54 schools. At right is Mr. Lonnie Reynolds, Varnett's athletic director. 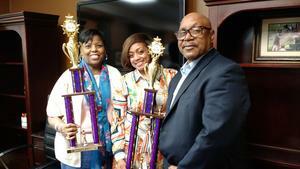 Next up is the National Junior High Chess Championships April 25 in Grapevine, Texas.